Formation of SIATI was on the initiative of Dr. C.G. Krishnadas Nair, then Managing Director of Hindustan Aeronautics Limited, Bangalore. SIATI was founded on 9th December 1991. 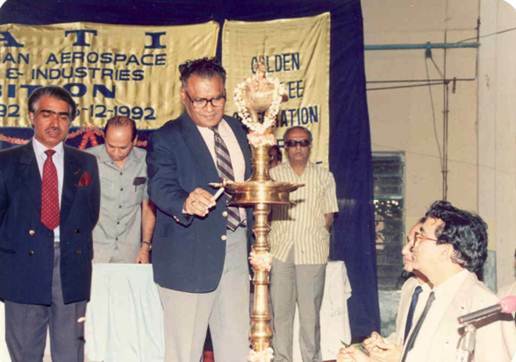 On receiving the National Aeronautical Prize (constituted by Aeronautical Society of India, Aeronautics R&D Board, Ministry of Defence) for outstanding fundamental and applied work in Aeronautical Science & Technology, Dr Krishnadas Nair set apart the cash prize received for the promotion of SIATI. After discussion with a number of his colleagues in the Aerospace industry, and R&D, SIATI was founded complimentary to Aeronautical Society of India to give focused attention to the growth of aerospace industry through private industry participation, MSME net working with Large Private Industries & PSUs as well as Industry – R&D co-operation and International Co-operation. SIATI was the vision of Dr.C.G.Krishnadas Nair, Chairman, Hindustan Aeronautics Limited, Bangalore. We have always talked about the need to bridge the gap between R&D and industry, and ensure large scale application of our technological capabilities. SIATI was a right step in this direction in the emerging frontier areas of aerospace. As we move increasingly to a knowledge-based society, with production and processes depending on the generation of new knowledge, our capabilities at the frontiers of current development will be seen to be even more important for what we need in the country, as well as to provide opportunities for significant exports. SIATI plays an important role in this convergence of people, ideas and capabilities in the important frontier and strategic area of aerospace. I wish to convey my congratulations to Dr.Krishnadas Nair on a visionary initiative, which is fructifying so well. Society of Indian Aerospace Technologies and Industries (SIATI) facilitates and promotes the growth of Aerospace industries, technologies and education in India, academia – industry and R&D Industry interactions and international co-operation. SIATI also work closely with Aero Society, FICCI, CII and such other industry associations for Government policy, formulations / modifications for the growth of Aerospace Technology and business. Founded in 1991, SIATI is the major Industrial Association of Aerospace Companies in India with the patronage of major aerospace organizations such as Hindustan Aeronautics Ltd.(HAL), Indian Space Research Organisation (ISRO), DRDO Labs, Aeronautical Development Agency (ADA), National Aerospace Laboratories (NAL), Civil & Military Airworthiness Quality & Certification Agencies. Currently SIATI has membership of around 300 industries from both public and private sector. SIATI is a professionally managed non-profit, non-commercial organization. 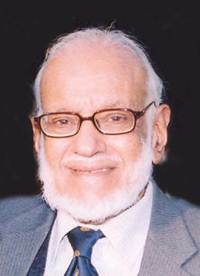 Dr.C.G.Krishnadas Nair, former Chairman of Hindustan Aeronautics Limited is the founder and Honorary President of SIATI. The managing committee of SIATI consists of eminent personalities drawn from cross section of the aerospace industry and organizations to plan and monitor the activities of SIATI. Empowered committees headed by experienced professionals are formed from among members for all important domains of Aerospace to pursue SIATI member communities interest in these domains and update the members on the latest developments and business opportunities in those domains, and to interact with Government on offset and other policy and regulations, and for co-operations / consortiums among members, conduct of seminars, participation in exhibitions, training & skill development, and for international co-operation. SIATI supports the growth of aerospace technologies, industries and business in India and projects a good picture of Indian Aerospace Industry to outside world by organizing participation in Indian and international air shows, conferences and seminars. “SIATI AWARD FOR EXCELLENCE” : SIATI has constituted “SIATI Awards for Excellence” in indigenous development of aerospace technology and manufacture of aerospace material, components structures, equipment and systems etc. The Awards are given on the basis of recommendations received from the user organizations like DRDO, HAL, ISRO NAL, IAF etc and selected by Awards Committee and presented by dignitaries during SIATI Annual each year. So far about 160 industries are recipient of these awards. "SIATI LIFETIME SERVICE AWARDS" : SIATI has also constituted “ Life Time service Award” from the year 2011 to honour eminent persons who have made great contribution in the aerospace, R&D, Industry and Education field. The Awardees are selected by the Award committee.